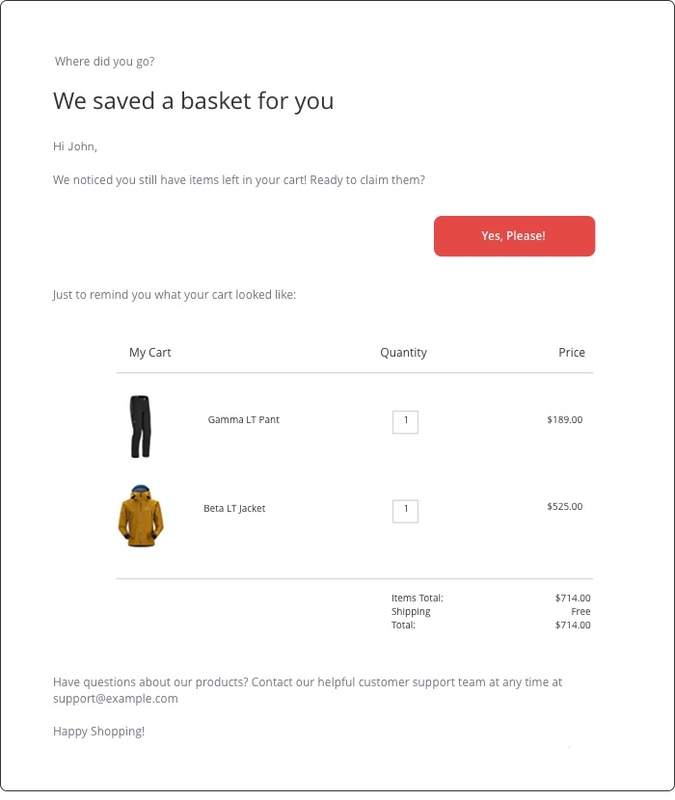 Bring shopping cart abandoners back to your ecommerce site with this friendly and engaging three-part email campaign. Your summer holiday is coming up, and that means it’s time for a new summer wardrobe! You find a sundress that you really like, and put it in your online shopping cart…but you’re not sure if you’re ready to buy it. You haven’t explored all your options yet, and you think you may be able to get a similar item for a better price. So you close the tab, leaving your shopping cart abandoned. You may forget the dress altogether, even though you initially loved it. We’ve all experienced online shopping cart abandonment in one way or another and, as a business owner, it can sometimes be difficult to bring customers back to their carts. According to Statista, a total of 74.2% of online shopping carts were abandoned in 2018. This means that for every 10 people who add your products to their shopping cart, only two to three actually make the purchase. Cart abandoners back out for a variety of reasons: It could be they’re swayed by a slow website or frustrating transaction experience, hidden costs added at the last minute, finding better pricing from competitors, wanting to shop around or simply getting distracted. There is, however, a way to woo them back: A well-designed abandoned cart email campaign will re-engage potential customers, returning them to their shopping cart and closing seemingly lost sales. The email campaign involves a series of three emails that remind visitors of their full cart and encourage them to complete their purchase. According to Omnisend, three is the magic number — marketers who send three cart abandonment emails see 69% more orders on average than those sending only one. Using your marketing automation platform, the campaign can be triggered to begin immediately after someone leaves your website with items left in the shopping cart. 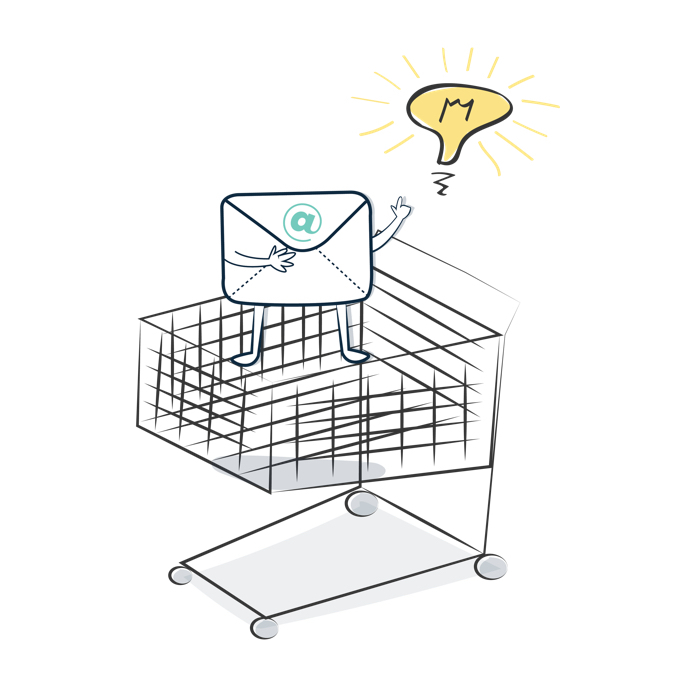 This email draws many users back in right away: According to Moosend, 45% of cart abandonment emails are opened and, of the opened emails, 50% received click-throughs. It’s important to send this email as quickly as possible in hopes of reaching the abandoner during the same internet session. However, it’s imperative that you do not attempt a hard sell. The first email should simply remind and assist the abandoners. Anything more, and you risk annoying or scaring off potential customers. 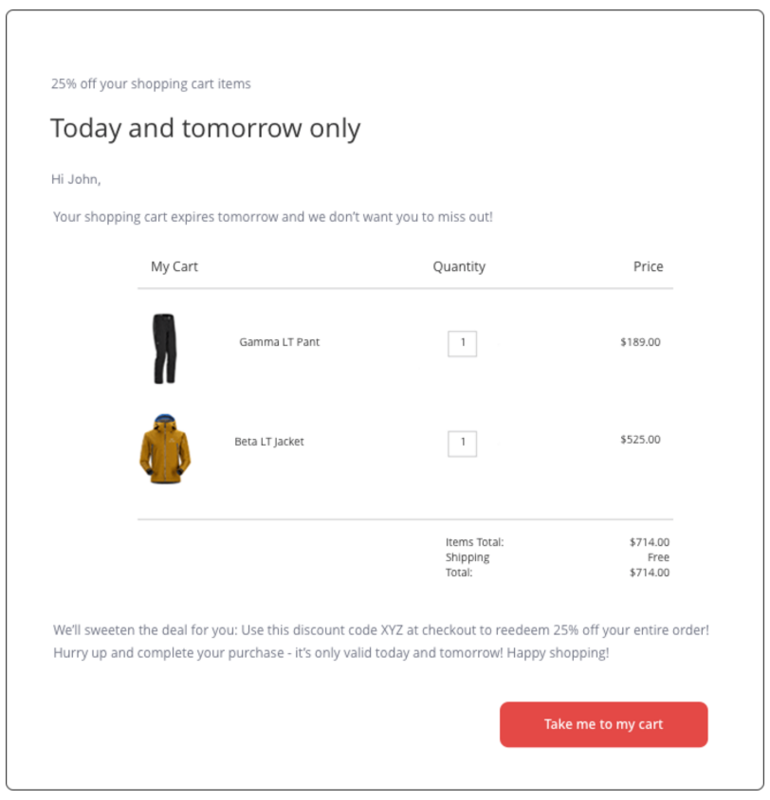 The second email reminds abandoners of their existing shopping cart and should create a small sense of urgency. It’s been a day since they left your website, and they have already received an email from you; at this point a hard sell would still be a turnoff. Instead, subtly nudge the abandoner in the right direction. 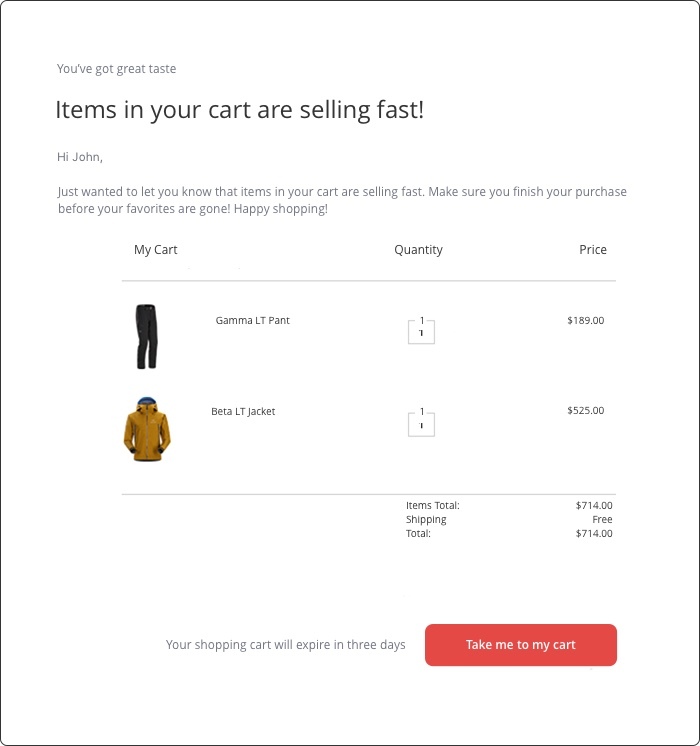 Easy ways to generate urgency include informing customers their carts will soon expire or that the items in their cart are popular and may sell out shortly (if that’s the truth). Up to this point, you’ve been nudging and encouraging. In the third email, it’s time to get into selling mode with a tantalizing offer, such as free shipping or a discount on their order. This is your final chance to make the sale, so focus on tailoring the language of the email to be as persuasive as possible. Coupled with an exciting offer, you have a better chance of closing the sale. 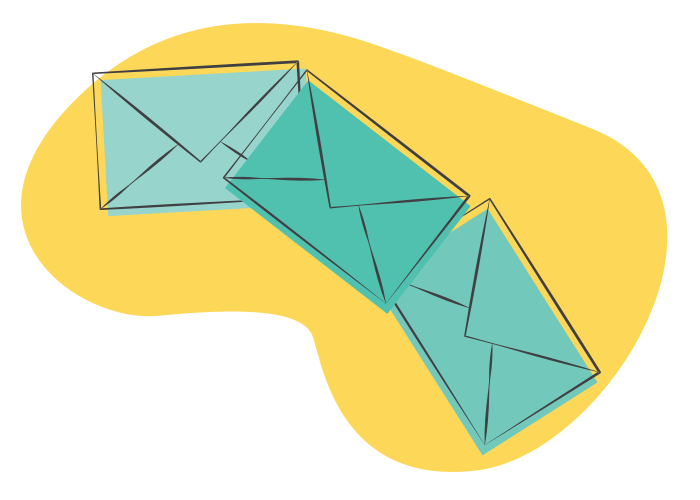 If you’re an Ontraport user, this email campaign is already built for you; simply add it to your account from the Campaigns Marketplace (it’s called “Simple Abandoned Cart Follow Up”), plug in your email content, and Ontraport automation will take it from there. Cart abandonment is so common that launching a campaign like this shouldn’t be considered an add-on; it should be incorporated as part of your everyday sales process. Those who abandon their carts are your hottest leads. They clearly have already seen your marketing and are interested in your offer; now it’s just a matter of closing the deal.